Local Engineering Firm with International Reach Selects ITS for Mac Makeover is a leading cathodic protection and corrosion prevention engineering design firm, providing environmentally beneficial systems and services to global clients for nearly 40 years. An expert in the field of cathodic protection, MATCOR offers proprietary corrosion protection products, installation, cathodic protection testing, maintenance and complete corrosion protection project management. MATCOR specializes in protecting the infrastructure of the oil and gas, electric utility, transportation and other infrastructure industries. The importance of attracting new, young engineers to the corrosion industry was just one of the many challenges that newly hired CEO Jeff Stello faced when he took over at the company in 2010. For what is perceived by many as a rigid, set-in-its-ways industry, Stello saw a need to shift MATCOR’s focus to innovation and invest in the latest tools and technological advancements that would separate the company from its competitors. Stello wanted to introduce something fresh and dynamic into the daily activities and business operations of the company that had not been present before - something visible internally to his employees and externally to the industry. Understanding that in order to improve business results, provide better communication, support to clients, and capitalize on new market opportunities, they had to place their own internal IT at the forefront of their strategic approach. Lacking some of the tools and proactive services essential to the growth and success of a sizable company such as MATCOR - Stello and his senior leadership sought out a technology leader that could provide a full range of services to keep up with their innovative business goals. After a referral from a mutual business colleague, MATCOR made the decision to partner with IT Solutions to transform the organization into an innovative, technology-driven, Mac-centric business. This transition required a full-service IT partner, suited to fulfill MATCOR’s expansive support needs. Originally founded in 1994 as primarily a Mac support company, IT Solutions currently maintains a large help desk of consultants, trained and certified to cover a broad range of skills across both the PC and Apple platforms. Working closely with their dedicated Virtual Chief Information Officer (VCIO) to fulfill all account management needs, MATCOR quickly established and maintains a technical roadmap aligned with their long-term business objectives and specific IT needs. IT Solutions was able to address MATCOR’s immediate IT needs by taking over the management and support of their network from their previous IT service provider. The SharedVision Guardian plan provides MATCOR with complete network support and maintenance for servers, firewalls, routers, and other network devices along with support for all user PCs and Macs. This high level of support replaced the reactive model previously in place and helps to prevent problems before they arise. To support its growing mobile workforce, MATCOR has adopted cloud-based applications and the use of mobile devices – primarily iPad and iPhones – which have become integral to MATCOR’s success. The investment of four key business tools - The Apple/Mac platform, Salesforce.com, mPort Project Management tool and partnership with IT Solutions Consulting, Inc. - became the foundation for something revolutionary at MATCOR. The Mac platform has provided a huge advantage to MATCOR - especially the use of Mac laptops and iPads. Incorporating these mobile devices into everyday business has set MATCOR apart as an IT-centric company in a field that is generally not seen as such. As a result, MATCOR leverages their Mac environment and related tools and technologies to attract the interest of young engineers and technicians. MATCORs adoption of cloud-based CRM and Project Management applications are now seamlessly integrated with their network and provide a ton of functionality that was not present before. The MATCOR mobile workforce can now access applications such as Salesforce.com and their customized PM tool mPort from their iPhones or iPads, take photos of pipelines and related equipment, add geotags and sync it all back to their databases real time. The ability to communicate across multiple platforms and access data anytime, anywhere, has been a significant boost to productivity. With the proactive support from ITS, downtime on the network is minimal and response time has increased substantially from the previous provider. Communications between MATCOR staff and clients have improved thanks to the ease-of-use and wide distribution of mobile devices and clients appear to be overall much more satisfied as a result. Finally, the creation of a long-term technical roadmap has helped MATCOR stay focused on their commitment to innovation. 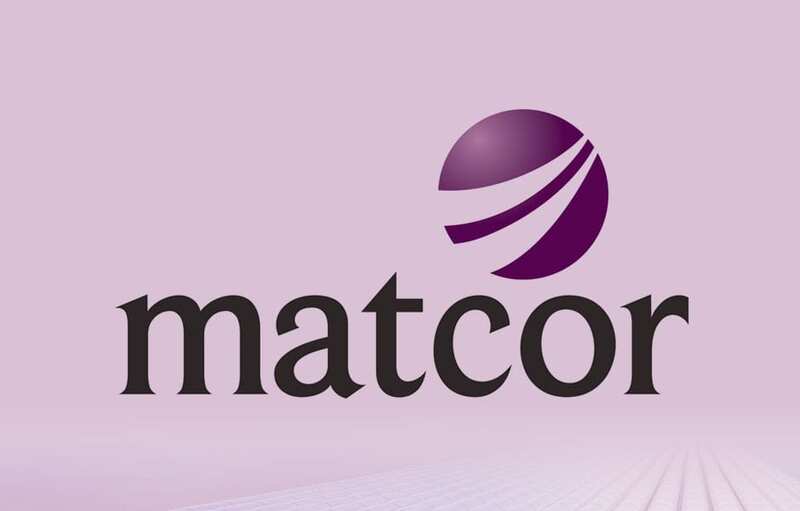 "MATCOR strives to bring new innovation to all aspects of our business including mobile access to the information needed by our remote colleagues," said Jeff Stello, CEO, MATCOR, Inc. "As MATCOR’s IT systems became more strategic, it was imperative to provide 24 x 7 access of these systems to our colleagues. We chose IT Solutions to ensure the reliability of our IT infrastructure." Jeff Stello, CEO, MATCOR, Inc.
MATCOR, Inc. is a leading cathodic protection and corrosion prevention engineering design firm, providing environmentally beneficial systems and services to global clients for nearly 40 years. An expert in the field of cathodic protection, MATCOR offers proprietary corrosion protection products, installation, cathodic protection testing, maintenance and complete corrosion protection project management. MATCOR specializes in protecting the infrastructure of the oil and gas, electric utility, transportation and other infrastructure industries.